You can only play one video game for the rest of your life, what is it? The last time i scoffed at the Chicago tribune, i paid dearly. I will not make that mistake again. NFCS with a coach of the year..again. Hopefully they can do a better job with it lol. As i got toward the end i just started getting really tired and just kind of phoned it in. http://www.nfl.com/videos/nfl-micd-up/0ap3000000969860/Mic-d-Up-Blake-Bortles-leads-the-Jags-to-an-offensive-feast-Week-4 Wasn't his last win as a jag, but was the last good win. This video has three really good quotes from the B.O.A.T. " It got pass the line. Shut up. Know the rules." 1:10 "I might throw a touchdown right here." 1:16 (and yes, captain check down got it in for six.) "Lets get out of here man, I wanna get dinner." end of video. ECU's Wide Open Problem A Good Problem to Have Leon Burris 196 Receptions, 2592 Yards, 24 Touchdowns. ECU's all-time leader in...every WR stat. 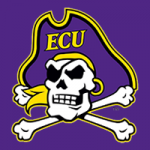 JuCo has finally ended and ECU landed a much needed weapon for the offense. Kyler Wilson should have a new number one receiver in Senior JuCo Transfer, Jacob Benson. Benson, a five star recruit from Guilford Technical Community College, enters the locker room with a NFL ready body. At the JuCo level, he has repeatedly shown his ability to bully defenders, and bump them off their coverage. An excellent redzone target, he has also shown great quickness and agility. He isn't afraid to jump up and fight for the ball either. If any of this sounds familiar to ECU fans, it might be because you can say the same about the current number one receiver, Leon Burris. Burris has been a three year starter. The receiver unexpectedly started for the Pirates in the slot during the 2020 campaign. He had a great Spring and Fall camp, earning a starting spot in the lineup. Since then, he has broken or set every major record in school history. 196 receptions, 2592 yards, and 24 touchdowns in three seasons. He is also the first receiver in school history to break the 1000 yard mark. He was 19 yards short of doing that in back to back seasons. His 2022 season was special. Had it not been for future NFL star, and possible top 10 pick Gavin Faulk, Burris might have earned conference awards for his work. He did earn 1st team honors however. Going into his senior season, it was almost expected he would be the number one receiver for the third season in a row, something else that has never happened at ECU. However with Benson transferring in, that might no longer be the case. Burris individual season numbers. So whats the problem? Why does any of this matter? Well from little things the coaches have said through out the season, and going into the off season for them, ECU struggled at times on offense because of a lack of speed on the field. Freshman Kenneth McCormick showed flashes of what he could do on the field. The freshman receiver was the first freshman(and one of the few in general) in school history to have multiple(3) 100 yard games. He had some great speed, but just didn't show the game consistency the coaching staff was hoping for. However, a positive note for the young man is that he had the fewest drops of anyone on the team(10 receptions or more). With a year under hist belt, he should progress nicely and come out stronger and more dangerous next season. There is also Oklahoma transfer, Jimmy Cardona. A lot is expected from this young receiver having had to sit out for a season as part of the NCAA transfer rule. Fans are excited to see what he can do as he also has a lot of speed. He was easily the fastest receiver on the 2022 team. ECU need to get these guys on the field, and get them involved often. Kyler Wilson was under fire a lot last season. Plays took way to long to develop, and his offensive line just couldn't give him the time he needed. He over threw, under threw, and just threw a lot of passes away to avoid sacks. He did well, all things considered, but adding two guys who can bring more speed to the table, plus a NFL ready receiver, he should be near the top yet again in the country for passing yards. His name may even be in the mix for a Heisman. Though a winning season might be required for any of that to actually be serious. Besides those three receivers, there are two tight ends who have been sitting on the bench for a season who are chomping at the bit to get on the field. Both Brya﻿n ﻿﻿Munnerlyn﻿﻿ and Will Sorensen were among top Tight Ends recruits of the 2021 season. Both committed to ECU. While Munnerlyn has shown to be more of a classic blocking tight end, he has shown plenty in high school that he can be just as dangerous in the pass game. With all these weapons on the field, its going to be hard to find room for Leon Burris to play. Yet, as one of the most reliable and consistent targets for both Liam Carver in 2021, and Kyler Wilson this past season, he has earned a starting role going into his senior season. But where? Starting Center and 2022 offensive Captain, Levi Hickey. You could say the Pirates should just run a vertical or a spread passing system. The problem with that is East Carolina has struggled to recruit an offense line. The 2022 season, they were just out of the top ten for worst unit in the country. They were one of, if not the worst rushing team in the country as well. Amir Turner managed only 427 yards on the ground, and just three touchdowns. Incoming players, and guys who have redshirted should help the line improve. But it will be another season or so before it will really make a difference. We won't really know much about the line and the new starting five till the new season starts, but we could see back up center Jack﻿son Girard playing in a Guard position as he did toward the end of last season. There was a slight uptick in protection and rushing production when he started over Guard Leo Reece. Redshirt Lu﻿cas Ara﻿go﻿n should take the other starting guard spot. Incoming freshman Antonio Wolfe may have enough in him to earn the starting Left Tackle job. As for right tackle, Ya﻿hir Fuentes﻿-Valle may possibly return as the starter(one of only three starters from the 2019 recruiting class), though expect a very tough camp battle for this spot. The only for sure starter will be Center Levi Hickey, who has started at the position the last 3 seasons. Besides a formation change, or possibly starting over someone else who really needs to be on the field, there is one last option fans might have to consider. As a true senior, Burris very well could transfer. He could use the 2023 season as a redshirt year and sit out till next season. That being said, it is an unlikely option as the few teams who might see him as a true number one receiver won't have a five star quarterback throwing to him. There is also the option that ECU might redshirt him. Again another unlikely option as the depthchart will only get more crowed with talented receivers ready to play. It is sad to see that one of the best players in school history, and the only player from the 2019 recruiting class that has been able to get on the field consistently in multiple seasons, may not have a spot for him next season. At the same time, it is a credit to the coaching staff that it is getting harder to decide who is going to start and who isn't because of a good talent level. At the end of the day, we won't know what is to happen till the season rolls around, and spring and fall camps have happened. There is a chance that Leon Burris continues to grow and step up his game, beating out the rest of the competition. Seeing him and Benson line up across from each other could be a very great thing. With a future star like Benson drawing double coverages, Burris could be left alone to wreck havoc to opposing defenses. The coaching staff will have a lot of hard choices in the fall. But this is without a doubt, a good problem to have. i'm not really a big basketball watcher. I hardly follow the sport until the final game of the season just so i can see who wins it that year. But as with any sport, i think it really depends on the team, and what you came into the year as. If you're a Kentucky, or a Duke, i think minimum, you have to make the sweet 16, probably the elite 8, and think a final four to say it was a good season. But other schools, smaller programs who no one even thought they would be in the tournament, or bigger schools who have really struggled this season, like Florida, i think for those teams to just get to 16 is a great accomplishment and should be proud. TCU and Auburn. Do you believe in magic?